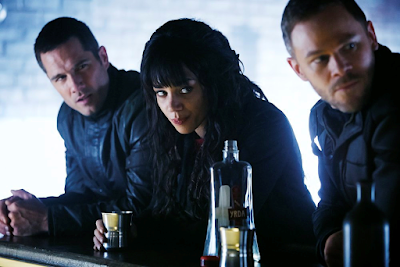 The Geektified Blog: The Geekcap: Killjoys "Johnny Be Good"
In Old Town, many bodies lie dead. Dutch is handcuffed in a hall when a man gives her a drink of water. A mob pounds against the doors of the Royale, begging for Dutch’s blood. Inside a man and Pree go over what to do with Dutch now that a mob wants her dead and the wall is down. The man is more interested in what happened to Jelco since they raided Spring Hill. Using a poison he found, the man demands that Dutch answers. In a remote planet, D’avin has Jelco captive, threatening to shoot Jelco should he run or if Dutch is killed. The man, in turn, poisons Dutch, causing her to vomit blood as a result of lying. Despite Pree’s defense, Dutch admits that she is aware of where Jelco is since she helped him escaped. Pree threatens to shoot the man, but Dutch reminds him that he will have to answer to the crowds outside regardless. The man reminds Dutch that last night more than a hundred citizens were killed with no one to answer to after their escape. If Old Town can’t hang Jelco, they will hang the person who helped him escape. In the previous night, D’avin and Dutch burst into the Royale where everyone is drinking and partying under the influence of the Wall. Once Dutch finds John and Pawter she knocks them out to bring them back to the ship. On Lucy, John wakes up, at once angry at whatever they used to knock him unconscious, but Dutch and D’avin then explain the Wall’s purpose. Since it acts as a mood inhibitor, he could not act on his own free will, but, fortunately, Dutch and D’avin have developed sensor blockers to move through Old Town without being affected. Once Pawter awakens, she informs the group about the Company’s plan to poison the weak and cull the strong with new food rations. Lucy confirms the plan by analyzing the food, but Pawter fears that they have no way of stopping Jelco who maintains an influence over the Company. To save the people of Old Town, the group plans to sneak inside Spring Hill Compound to shut down the wall and ultimately kill Jelco. Lucy: I do not wear pants, John. I am a computer. John plans their entrance by moving through the same stopping point he tried, though D’avin reminds him that he was caught the first time. As John mourns his conflict with Dutch, D’avin remains more optimistic, reminding his brother that Dutch forgave him even after attempted murder. However, D’avin does add that Dutch is likely jealous since John appeared to have chosen Pawter over her. Meanwhile, Dutch goes over their plan with Pawter. Pawter thanks Dutch for her help, but Dutch fires back that Pawter had already lied to them, and, ultimately, she is not ready for this mission. Pawter believes that she is, but Dutch warns her against putting John in danger for her own desires. The group sneaks inside Spring Hill with John and D’avin sneaking through the systems and Dutch and Pawter sneaking through the halls. All of their guns except for Dutch’s are set to stun with Dutch planning to kill Jelco. Unfortunately, the halls and bases appear to be deserted with no sign of any guards or Jelco. John and D’avin come across a power system for the Wall that D’avin recognizes from Arkyn. John attempts to work through the system but is stopped by the intelligence on the computer, Julian. Julian informs him that there has been a changeover within Spring Hill Compound, which a Company worker would know. With the system against them, Dutch hands Pawter a gun to kill since in case they will be separated. Pawter refuses to kill from her status as a doctor, but Dutch warns her that she’ll have to act instead of having other people work for her like John. Pawter reminds Dutch that John helped her of his own free will and remarks to her that sometimes he wants to be more than just a killjoy. Dutch and Pawter make their way to Jelco’s office though John struggles to work through Julian. Since shooting up the system could risk a nuclear meltdown, their only solution is for Dutch and Pawter to work through the computers in Jelco’s office. When Pawter acts too quickly when accessing the computer, it triggers an alarm that alerts Jelco over a holophone. Though the compound is still empty, Jelco plans to send guards to apprehend the two. In the midst of Jelco’s call, John discovers a call to Qresh within the compound, revealing that Jelco is still in the building. Dutch then leaves to find Jelco herself, leaving Pawter to defend herself. As Dutch searches for Jelco, D’avin fights against the guards to catch up to Dutch. With Lucy’s help, John manages to work through Julian and give Pawter access to Jelco’s system, giving her a security feed of the outside. She shuts down the Wall’s systems and broadcasts to the people of Old Town, warning them not to eat the company portions. However, John cannot officially destroy the wall without a Qreshi access code, something not even Pawter knows. With no other choice, Pawter contacts Delle Seyah Kendry for the code. Although Pawter demands on behalf of Old Town, Delle Seyah refuses to give in, remarking on the plan to develop walls all over Westerly. After the people of Old Town are purged of their weak, the masses will demand a quarantine of the area, begging for the Walls. Furthermore, she reminds Pawter, there could be no way for her to save all of Westerly when Old town cannot take care of itself. Dutch then tracks down Jelco to a lab beneath the Spring Hill Compound. To her surprise, the lab appears to have preparations for Level 6 experiments including the green plasma. She continues to follow Jelco secretly. With John struggling to work through the system, Pawter takes matters into her own hands. 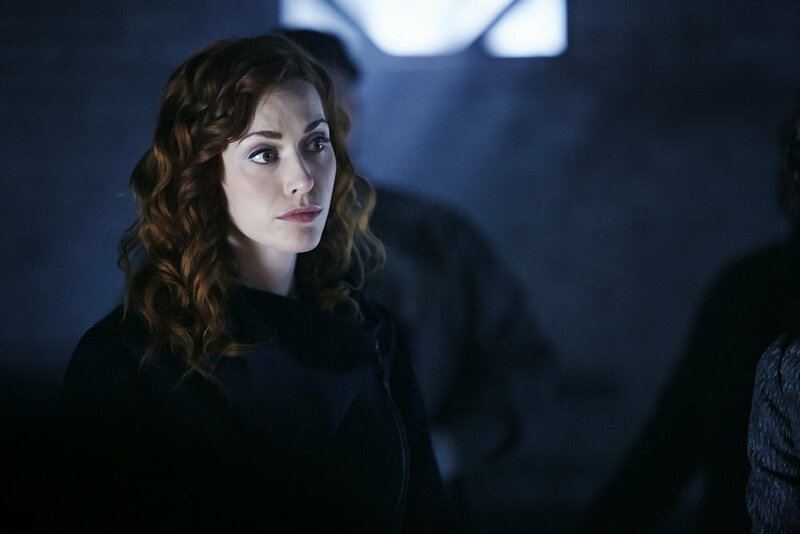 Using the transmission, she encourages the people of Old Town to fight against the Wall and the lies of the Company, using the mood inhibitors to enhance their rage. The people then slam themselves against the Wall, killing many in the process but shutting down the systems permanently. Dutch confronts Jelco who admits that the program is used to create an army of Level 6 soldiers with the strongest members of Old Town. Meanwhile, John catches up to Pawter only to find the Wall set to rage before its destruction. He questions what Pawter had done but warns that the members of Old Town are working their way into Spring Hill Compound. They run to escape, but Dutch continues to corner Jelco. In desperation, Jelco reveals that he knows more about the program and where they get their supplies. If she keeps him alive, he will lead her to them. Despite her reservations, Dutch orders D’avin to take Jelco on their ship as she attempts to fight off the crowds blocking their exit, leading to her capture. John: Whoa, what happened? Why is the wall set to rage? Pawter what did you do? In the present, the man then reveals himself as Herin, a former treasury secretary for Tighmon. When Tighmon attempted to get back at the Company, he, along with other members of the union, was killed. Feeling responsible for the loss, Herin tries to appeal to Dutch’s loyalty, but Dutch refuses to tell the truth despite the poison. To convince her further, Herin allows to John to talk with her, and he asks where Jelco is. Despite speaking with John, Dutch continues to lie to Herin. D’avin takes Jelco to the Badlands where they meet up with Borna for a weapons deal. 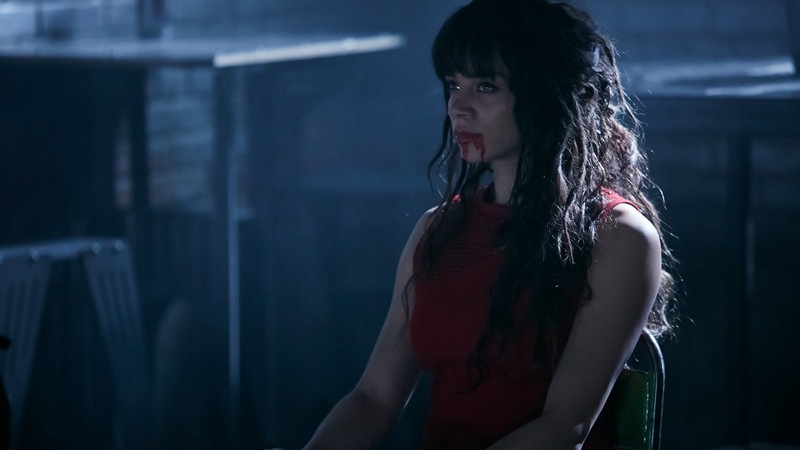 Using Jelco’s money and Company connections, they manage to acquire a major weapon D’avin can use to take down a Company building. In private, Dutch and John talk as Dutch reveals that she wants to buy D’avin time to escape despite the risk to herself. However, John remarks that it doesn’t explain Dutch’s recklessness in getting caught and poisoned. Dutch admits that she fears there is a monstrous killer inside her, and John is the only one who keeps it at bay, leading to her feelings of betrayal with his choice for Pawter. John explains that he wanted to keep both of them, though he is sorrowful about Pawter’s choice to destroy the Wall at the expense of lives. Dutch surprisingly takes Pawter’s side, understanding the feeling to want to keep John safe and happy. With enough time passed, Dutch then tells Herin that Jelco is with D’avin who is at the moment working to destroy Spring Hill Compound. Using his new weapon, D’avin successfully brings down the Company building, but Herin still demands Dutch be hanged. Dutch acknowledges his emotions, understanding that they couldn’t quell an angry mob with nothing. However, before a fight can break out, Delle Seyah arrives at the Royale for a truce. If they listen to her, she can ensure Westerly independence. While the group understandably distrusts Delle Seyah, she reveals that the destruction of the Wall has led to the distrust of the Company. Following Old Town, no city in the Quad would agree to a Wall around their area. In other words, she admits, Pawter has defeated her. With representatives of Old Town and Pawter’s agreement, Delle Seyah begins to prepare an official transfer of power. However, with the transfer, Pawter must agree to give up her title and power. Outside the Royale, Pawter explains her decision to John. Despite John’s protests, she agrees to relinquish her power, refusing to play politics or risk John’s life any further. Although the cost is large, Pawter prefers it this way for her to continue to help Old Town as a doctor. In the midst of her loss, John offers to recruit her for their team if she chooses. Regardless of what happens, the two share a kiss. At the Royale, Delle Seyah, Pawter, and Herin sign an agreement. As part of Westerly tradition, Herin offers the women a knife to provide their blood in agreement. Before Delle Seyah takes her turn, however, she stabs Pawter and orders the Scarbacks to kill the rest. The remaining representatives of Old Town, including Herin, are then killed as Dutch and D’avin struggle against the Scarbacks who appear to be Level 6. John attempts to save Pawter, but she continues to bleed out before dying in his arms. Against his wishes, D’avin knocks John out for the three to escape. Delle Seyah reveals to a dying Herin that the Scarbacks work for her in exchange for immortality with the plasma. Rather than independence, Delle Seyah declares Old Town part of Qresh territory, leading to a peace arrangement under her control. Meanwhile, Dutch, D’avin, and John return to Lucy where they discover Jelco escaped with the help of Fancy. Rather than kill them, however, Fancy offers a way to save the Quad by having Dutch meet up with Khlyen herself. Herin references Tarren Tighmon, the team's original bounty from "Wild, Wild Westerly." Big Borna, whom John fought to free Pawter, returns from "Schooled." The episode title refers to the song "Johnny B. Goode" by Chuck Berry. Pretty curious in how Delle Seyah did not cut her hand for the agreement. Could she also be a Level 6?